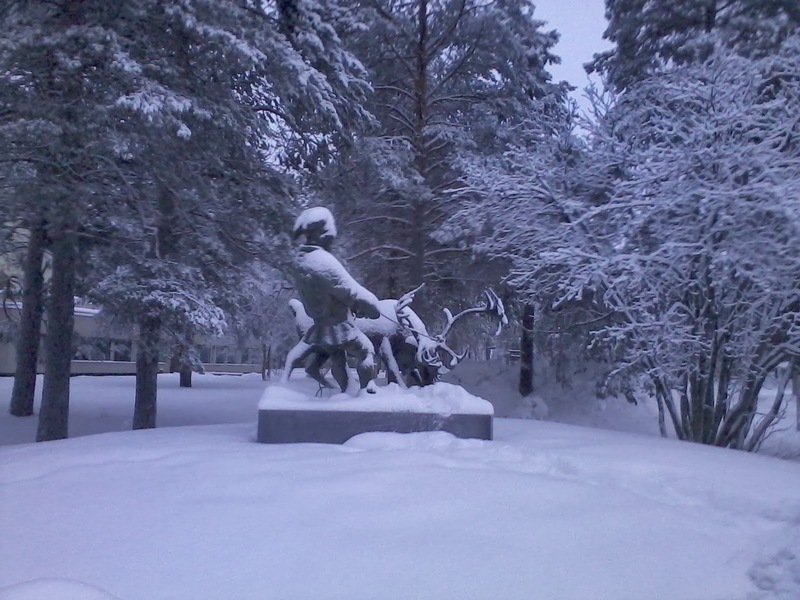 In Sodankylä there is a statue in honour of the reindeer herders. The Sámi people who tend the reindeer that wander freely all over Lapland. Today's photograph is of that statue.